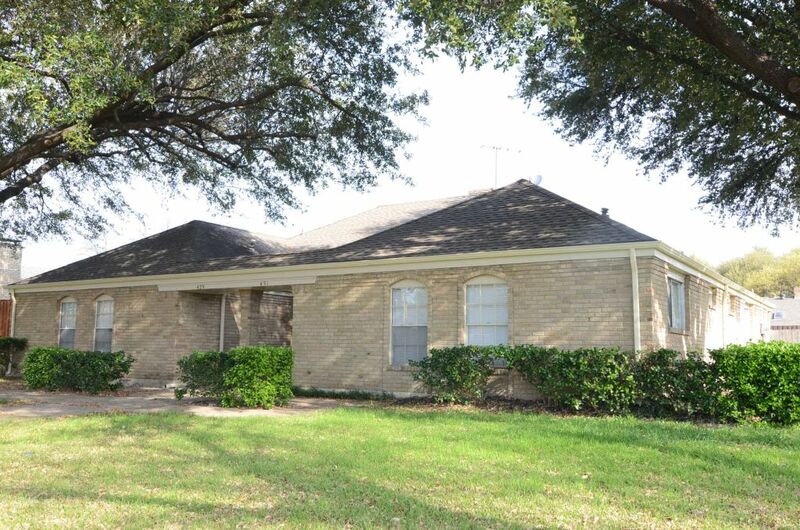 Hilites: Large half duplex in Richardson just north of LBJ. Walk to Richland College. Freshly cleaned, painted and repaired. New hardwood-style flooring in the living den, new carpet in the bedrooms. New granite counter tops in the kitchen and vanities in the baths. Large master with 2 closets and dressing area. Fenced yard. Two-car carport. Appliances: Central heat & air. Gas heat. Refrigerator, oven-cooktop. Terms: Landlord does yard. 12 month lease. Pay your own bills. Prefer no pets. Deposits start at $500 if accepted. No big dogs. Dallas, TX 75238 Phone 214-340-8360.